Kids design ‘Mini Moos’ to join CowParade Niseko « Shine On! Kids - Supporting children with cancer and other serious illnesses in Japan and their families. Cows have come to Niseko! Cow Parade, the largest public Art event in the world, was held in ‘premier four-season destination’ Niseko, Hokkaido. From July to October 2015, the Niseko area became the 81st host and the entire area came alive with the display of 47 Cows decorated by professional artists. Cow Parade is an event combining art, tourism, and charity as well. CowParade Niseko generously supported Shine On! Kids by not only giving financial aid by auctioning off the cows, but creating an opportunity for kids in hospitals all across Japan to participate through their art. Patients, family members, and staff at the 15 hospitals employing Shine On! Kids’ Beads of Courage® and Facility Dog programs were invited to design a ‘Mini Moo’, a half-cow-size fiberglass cow statue, 5 of which leaped from the page and were brought to life by artists and displayed during the event. 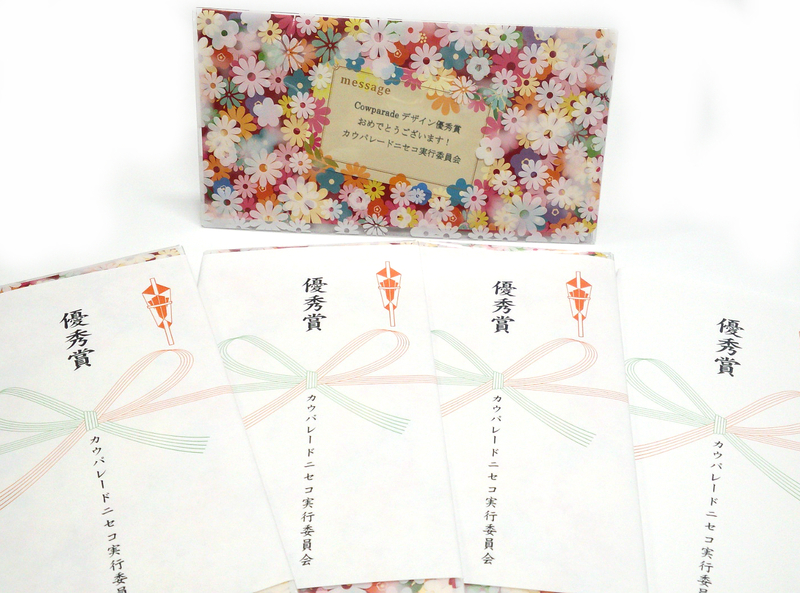 We received about 150 entries from around the country, and the 5 lucky winners will win a prize worth 50,000 yen! 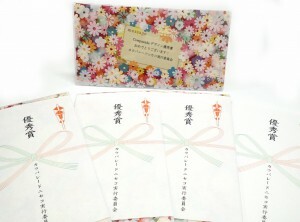 11.11 – The 5 winners were sent these cute gift certificates. Thank you, CowParade Niseko, and please enjoy, winners! Participants chose between the themes of Courage, Ganbaru, Smile, Play, and Happiness for their designs. And here are the winning designs!